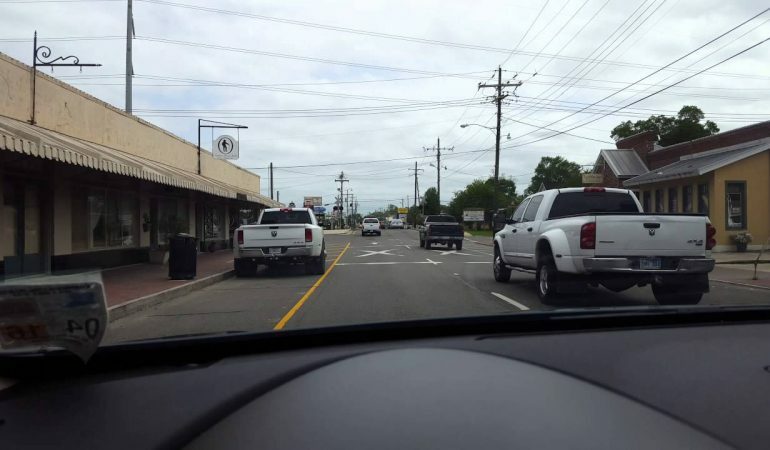 Horrible Driver Causes Mayhem On The Streets After Getting Pulled Over! There are idiot drivers all over the road and we are constantly having to look around for those people who may be putting our safety at harm. Luckily the highway patrol and police force are patrolling the streets to keep us as safe as possible. However, that doesn’t always seem to do the trick. In this video one lady get pulled over by the cops for her erratic driving only to continue terrorizing the streets after her police encounter! We watch as the woman swerves in and out of the lanes until finally she rear ends another cr and causes a pretty bad accident! To witness all of the insaity first hand click the video below! 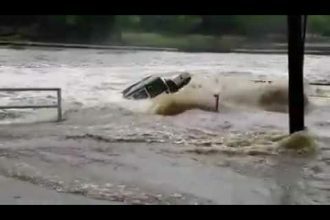 Jeep Swallowed By Floods In Texas! Mother Nature Wins. Again. Always Apply The Hand Brake- Lesson Taught!